Oklahoma landlord tenant laws, just like every other set of landlord and tenant laws may differ from what a tenant commonly knows. Most tenant and landlord laws tend to overlap in some way, yet sometimes there are other differences between them. It is important as both a landlord and renting tenant to be familiar with the different rules, regulations and laws that are set to govern each particular state. This guide is meant as just that, only a guide and not a replacement for the law. Readers should take each statement lightly and should not use it as actual governing law. They are required to do their own research. Stay up to date on Oklahoma Landlord Tenant Laws + Save money on tenant screening and other property management needs. Join AAOA today, it’s FREE! Tenants are responsible for quite a few things on top of the rights they naturally receive by default. They are responsible for keeping their unit clean and free of cluttered trash. They should dispose of the trash and such properly. They should also keep damages to a minimum and repair anything that is their fault. If they have guests or other family members over, they should also be responsible for taking care of any damages they make as well. Tenants should also make sure they stay in compliance and follow each rule that is set in place by their landlord. Everything that is outlined in the rental agreement and policies should be adhered to. Rent payments should be made in a timely manner by the day they are due and for the full amount that is agreed upon. Tenants are entitled to a returned security deposit unless they violate their rental agreements in any way. They also should not disturb their neighbors in any way and can potentially be removed from their tenancy because of disturbance. If tenants cause an issue or damage that interferes with the other tenants, they will have ten days to make the repairs or fix the issue. If it is not resolved by that point, then the eviction process can begin. The rental unit should be maintained in safe and livable conditions. Anything dangerous is to be taken care of on an immediate basis. All shared areas amongst all tenants such as laundry and hallways should be kept up in a neat and orderly fashion. This maintenance is the responsibility of the landlord. Landlords are required to take care of all repairs in a timely and orderly fashion. They are only allowed to enter the residence of their tenants in a reasonable fashion at reasonable hours and only for the purpose of making repairs or inspections. Landlords are required to abide by a tenant’s quiet enjoyment and therefore may not enter the premises at an untimely or inconvenient hour without permission or notice. All appliances should be kept in working and safe order such as the heating and air, the plumbing, elevators etc. The unit should be provided with safe fire exits and smoke detectors as paid for by the landlord. Trash services must be provided. Utilities should be paid by the landlord unless otherwise agreed upon and should be paid on time. Hot water should be given in reasonable amounts to all tenants. Lease and Rent Information Generally, there is a lot of different information regarding leases and how they work. Not only are there two different types such as verbal and written, but there are also many different lengths and purposes. With leases that have a definite time span (such as one year), then the lease will automatically end at the end of that time span. For a month-to-month rental, the landlord can end the lease with a thirty day notice. For week-to-week rentals, the landlord can end the lease with a seven day notice. If a tenant does not pay his or her rent, then the landlord may offer a 5 day grace period before beginning the eviction process. Oral leases are an option but they are not common or binding in any way. The problem with these types of leases is that they do not hold up in court if a dispute happens between the two parties. Oral leases have no way of being proven. Written leases are much more effective and common. They allow for more morally binding agreements to take place. All written leases should be produced in multiple copies for both parties and each aspect should be agreed upon by each party. It is illegal according to The Federal Fair Housing Act for landlords to reject a tenant or to make dramatic changes to the rental policies based on some sort of discrimination including: race, gender, age, religion, disability, income and more. If a tenant has been discriminated against or have any other issues with their landlord, they can file those issues with the U.S. Department of Housing and Urban Development. Security Deposit and Regular Deposit Information There are a few different deposits that may be taken at the beginning of the lease. It is important to know the differences in them and what they entail. General deposits are often required as a way to hold a tenant’s place. They are often returnable and can be lost by the tenant if they do not move in by the specified date. Pet deposits are another means that some landlords charge. These generally are used to help repair any damages that pets may cause or even used as clean up fees after the animals as well. They may be returned if the unit is left in a clean and repaired state. Security deposits are a bit different and more common. They generally cover the cost of any damages made by the tenant or their respective parties. If the deposit is not enough to cover those damages, then more will be charged to the tenant. Sometimes, the security deposit will be used to pay the last month’s rent if the tenant refuses to pay or if the two parties work out that as an agreement. If the deposit is not returned or is not returned whole, a written list should be sent to outline what the deposit was spent on. Things such as chipped paint or worn carpet and floors are not options to use the security deposit on. Things such as broken windows, wall holes or a messy unit are usually what the deposit is spent on. The itemized list and/or the full security deposit amount should be returned to the tenant within thirty days. Tenants may sue their landlords for fraudulent security deposit transactions. Tenants should do all they can to ensure they get their security deposit. Keep the unit clean after the tenancy is over. Repair all things that are needed before moving out. Pay all rent on time. Be open in communication with the landlord. Information Regarding Eviction Eviction is not really a fun topic that anyone likes to discuss, but unfortunately it is something that does happen. Tenants and landlords should both be familiar with the eviction process and what can be a good base for eviction. First of all, landlords may not force a tenant to move. This can be by either changing their locks or locking them out, removing their belongings or not paying the utilities. Sheriffs and policemen with a warrant are the only people who can physically evict a person from a home. Each eviction must follow the court procedure to a T in order to be legally correct. In the event of an emergency situation (fire, flood, etc.) the landlord can evict their tenants within 48 hours with a written notice. Any sort of illegal activity such as crime or drugs can call for an immediate eviction. At this case, the landlord will only have to provide a 24 hour notice. If a tenant leaves any belongings in the rental unit after their tenancy is up, they will have a month to remove them before they become the possession of the landlord. At that point they can do what they deem necessary. The main reason that most tenants are evicted is for not paying their rent. The American Apartment Owners Association offers extensive tenant screening services as well as tips and tricks to find the proper tenant. To learn more about Oklahoma Tenant Screening Background Checks click here. All states require a variety of forms to rent an apartment to a tenant and Oklahoma is no exception. Check out American Apartment Owners Association’s Oklahoma Landlord Forms now. Looking for landlord tenant laws outside of Oklahoma? The American Apartment Owners Association offers helpful landlord tenant laws for all 50 states. Click on any of the states listed below and go directly to its landlord tenant law page. To visit the homepage of landlord tenant laws, click here. 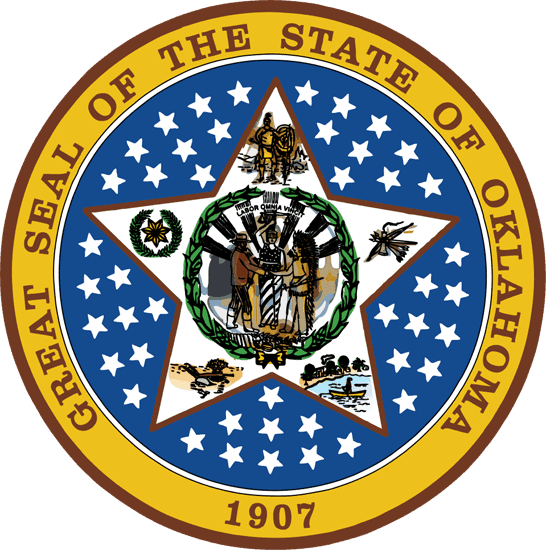 If You Need More Information For more information about Oklahoma landlord tenant laws, visit the Oklahoma Landlord Tenant Act. To access more detailed information, visit Legal Aid OK.
To read more about tenant screenings and landlord forms and to gain access all local listings visit the American Apartment Owners Association. To view the Federal Fair Housing Act as well as various other tenant and landlord laws, visit the HUD U.S. Department of Housing and Urban Development.